Creationism Vs. Evolution: An American Problem, An American Opportunity : 13.7: Cosmos And Culture When it comes to Science and Religion, America is in a league of its own. The problem is not Science vs. Religion. The problem is not Science vs. a particular religion. The problem is Science vs. one specific interpretation of one particular religion and, in general, the problem is an American one. This week at 13.7 we covered a lot of ground. KC asked about Science and Diplomacy. Marcelo wrote of the limits of knowledge. Stu dug deeper into the Adjacent Possible. Ursula explored how science can serve to underpin ethics. In my post I argued that it was time to let the Evolution vs. Creationism debate go and move in a new direction with our public discussion of Science and Religion. Some comments rightly asked -- with a sizable fraction of the American public doubting evolution -- how such a move could be meaningful. The question is a just one. So, today, I wanted to briefly put our situation into context. Specifically I want to put it into a global context. Last month I visited Europe participating in a collaboration exploring the early stages of star formation. At lunch one day a British researcher asked me how my book on Science and Religion was doing. Then he looked very serious for a moment and said, "What is up with you Americans and evolution?" Everyone at the table -- Italians, French, Irish, Dutch -- all simultaneously nodded their heads in agreement and shook their heads in sorrow. My British colleague's question, and the groups' response, underline a sad truth. When it comes to Science and Religion, America is in a league of its own. The other "developed" nations do not have this problem. The other nations whom we must collaborate with and compete against are not wasting endless hours rehashing arguments over the foundations of biological science. 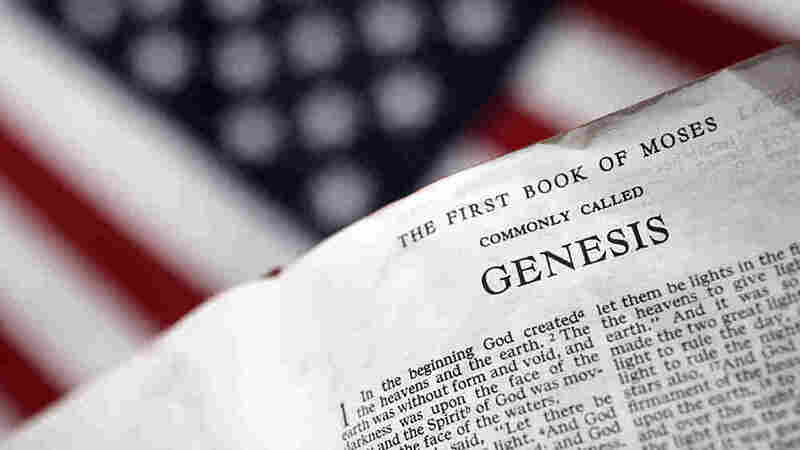 In terms of political, legal and, most importantly, educational influence, the Creationism vs. Evolution debate is an American phenomenon. When I argued that we need to move beyond the Creationism vs. Evolution debate, I was acknowledging a fundamental truth. No amount of evidence is going sway the most strident advocates of creationism (or its modern variant Intelligent Design). It's not a discussion or a debate that will do anything but cover old ground. In a similar vein, no amount of debate is going to convince the most stringent of atheists that religion, or spiritual endeavor, is an important part of the human experience that can have its own valuable "content". There is a difference between the strident atheists and strident creationists, of course. The latter group has political power in some parts of the nation that they are willing to wield as a club. I have seen directly the potentially chilling effect that the Evolution vs. Creation debate has for our collective future. In working with high school textbook publishers, I watched as instructional material was sculpted to carefully dance around issues of evolution. This move was needed to avoid offending politically and economically powerful forces associated with creationism. I was stunned. We are edging around deliberately NOT teaching students the basics of biological science because of his "debate." This intellectual hamstringing is not happening in China or India or Europe. The nations we are be competing with are not playing these games. The nations we are competing with to shape our own, and the planets, future are not wasting their time in this intellectual vortex. They are moving forward while we stare at our navels and argue over the shape of lint bunnies we find there. I have had hundreds of discussions with people on all sides of the issue. From this perspective I am convinced that there is a frontier in thinking about Science and Religion that remains unexplored. That frontier is available to everyone unless you choose to place yourself firmly on the issues extremes. It is true that the entrenched poles of the debate have a uniquely American character. It is, however, just as true that this unexplored frontier holds a unique call to American spirit. We have an extraordinary line of enlightened and enlivened thinking about religion in this country. From Thomas Merton to Martin Luther King to Philip Kapleau, we have had our share of great innovators in the domains of religion. Most importantly, there has been ferocious American creativity in developing new sensitivities between Science and the domains of spiritual endeavor. It stretches from Thoreau, Emerson, the great William James and on to our time. That is powerful mojo to draw on as we try to imagine what's been missed as creationist polarities have sucked all the air out of the room. So it is time to draw on the best of the American imaginative tradition. It is time to turn away from those looking for the easy applause lines and begin the serious work. With respect and an open mind we can ask the hard questions about what it means to be human in a Universe of grand order and chaos, a Universe mixed with equal parts of sorrow and boundless beauty.